• Amino acids (AAs) are precursors for proteins. • Precursors for many other biological N-containing compounds. • Energy metabolites: When degraded, amino acids produce glucose, carbohydrates and ketone bodies. • Excess dietary AAs are neither stored nor excreted. Rather, they are converted to common metabolic intermediates. • Funnel a-amino groups from a variety of AAs to glutamate by reacting with a-ketoglutarate. · Does not result in any net deamination. · An enzyme unusual (but not the only one as stated in the Textbook) in being able to use NAD+ and NADP+. · Plays a central role in AA metabolism. In most organisms glutamate is the only AA which has such an oxidative deamination enzyme. · Glutamate DH is allosterically regulated. It is inhibited by GTP and ATP, and activated by GDP and ADP. · The NH4+ so obtained can feed into urea cycle. · Requires FAD as a cofactor. · D-Amino acid oxidase also exists in mammalian tissues. Real physiological function unknown. · Fig. 20-17, Reaction 8. 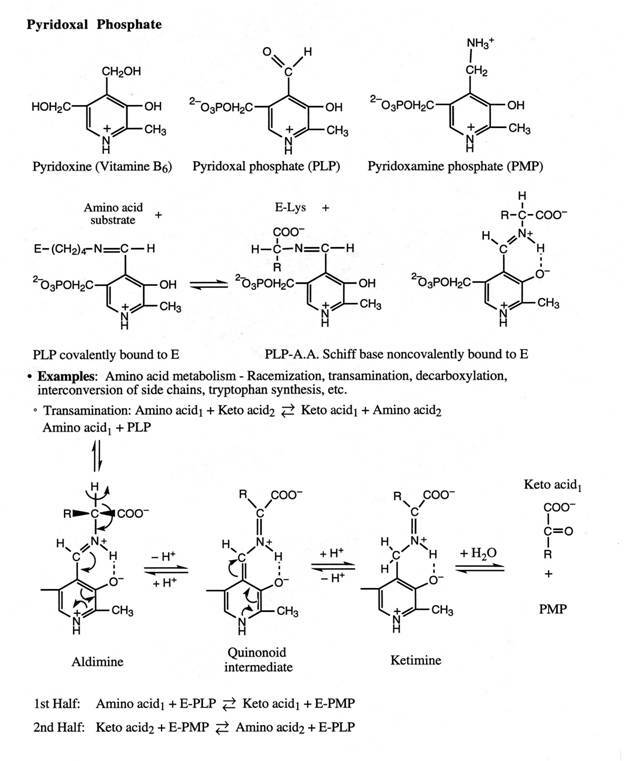 · 1932 by Hans Krebs and Kurt Henseleit as the first metabolic cycle elucidated. See Fig. 20-9. · Requires 5 enzymes: 2 from mitochondria and 3 from cytosol. · Eukaryotes have two forms of CPS, the mitochondrial CPS I uses ammonia as the N donor for urea synthesis. The cytosolic CPS II uses glutamine as its N donor for pyrimidine biosynthesis. Antiport: (cytosolic ornithine ® mitochondria) coupled to (mitochondrial citrulline ® cytosol). · The skeleton of Asp is recovered in fumarate. Up to this point, the reactions are the same for all organisms that are capable of synthesizing arginine. · Only the ureotelic animals have large amounts of the arginase. · CPS I catalyzes the first committed step of the urea cycle. · CPS I is also an allosteric enzyme sensitive to activation by N-acetylglutamate which is derived from glutamate and acetyl-CoA. · Increased rate of AA degradation requires higher rate of urea synthesis. 2. All other urea cycle enzymes are controlled by the concentrations of their substrates. · Deficiency in an E ® ↑(substrate) ® ↑rate of the deficient E.